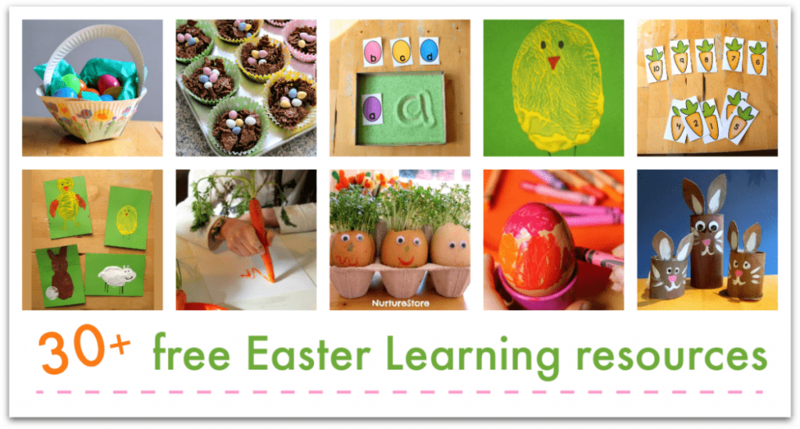 Here are some ideas for fun Easter egg games that are quick and easy to set up – great for an Easter egg hunt. To play our Easter egg games we’re using some plastic Easter eggs and an egg carton. 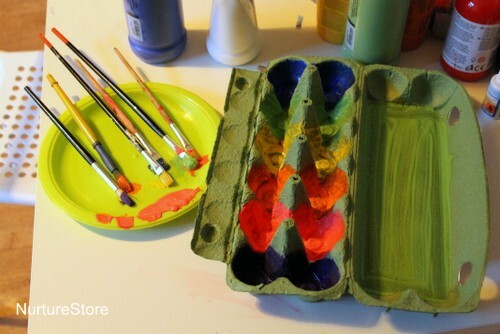 I matched up our Easter eggs with some of our paints, and used the paint to colour in the inside of the egg carton. There are different games you can play, depending on how old your children are and how they like to play. 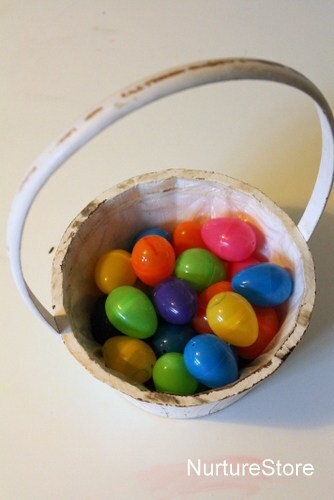 First up, you can hide the plastic Easter eggs around your house or garden and send the children out to find them. You might see how many they can find in one minute, or split them into teams and see if one can find all the pink and yellow eggs, and one all the blue and green. Add in some counting and see how many eggs you have in total. How many blue eggs do you have? Do you have more yellow ones or green ones? You can play a matching game with your painted egg carton. 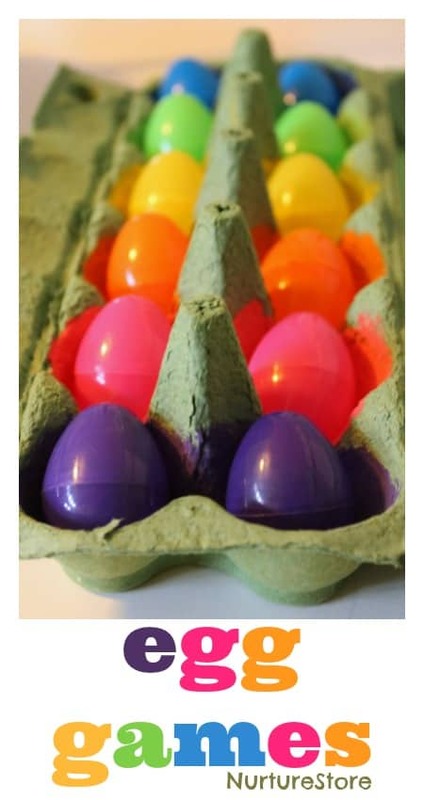 Hide just the right combination of eggs to match your carton’s colours, and then invite your child to go seek them and match them up with the correct colour spots in the carton. For a bit more of a challenge, have pairs of eggs in each colour. 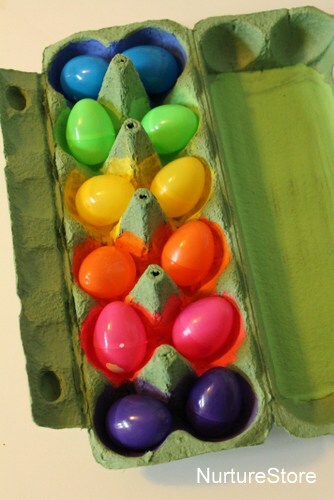 Use some white paint to add a different symbol on the base of each plastic egg. 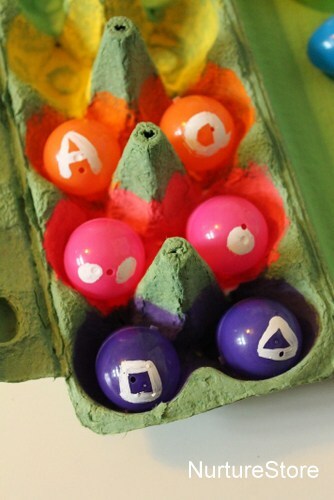 Paint a matching set of symbols inside your egg carton too. The challenge here is not only to match the colours, but too look carefully at the characters and place each egg in exactly the right spot in the carton, matching both the colour and character. You might match shapes, upper and lower case letters, or numbers of dots.